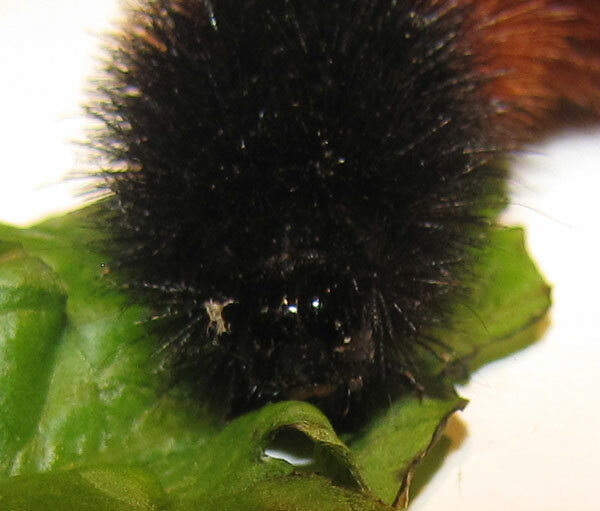 The wooly bear caterpillar is one of the best known caterpillars in Massachusetts. This cute, fuzzy caterpillar has a black head and tail, and an orange center. It tends to come out around Halloween which is very appropriate! Known as Pyrrharctia isabella, the Wolly Bear caterpillar becomes a yellowish moth when it grows up, the Isabella Tiger Moth. The wolly bear has a cute habit of curling up into a little ball when you poke at it. There's a myth that you can tell how long winter is going to last. 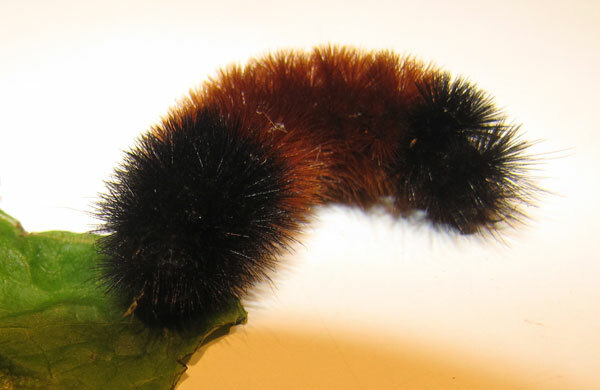 Really, though, as the wooly bear grows up it gets more and more orange, so what the width of the orange band tells you is how old the little caterpillar is. Yes it's impressive, that item in the following photo is a wooly bear poop. They must have a giant tube for a digestive system! 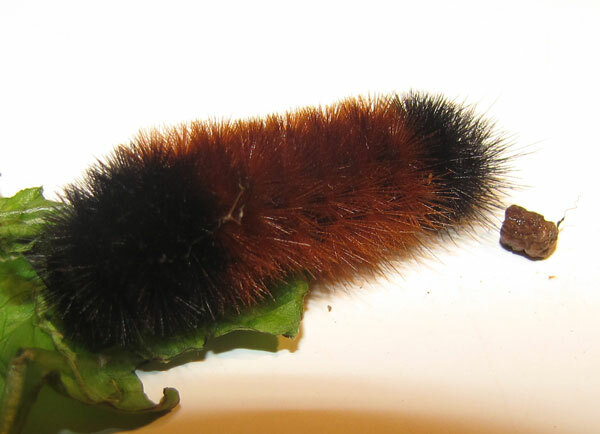 A wooly bear caterpillar video! You can see just how well they "cling" in it. I tried to get the wooly bear to curl up into a ball. 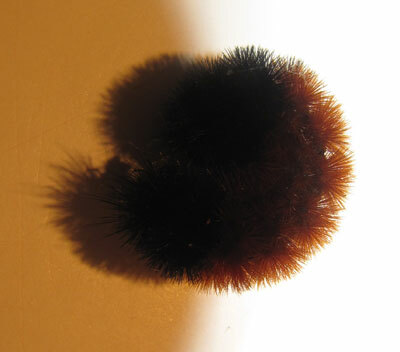 However, by this point the wooly bear was very fond of me and refused to curl up. It just wanted me to give it more food.